Common Pitfalls When Registering a Trademark! I have previously covered Trademark Scams on my blog but I haven’t really talked much about actually registering a trademark, the correct way of doing it and the common pitfalls you should try to avoid. 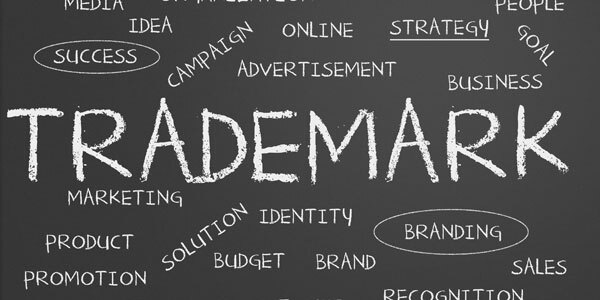 I actually stayed away from this topic for a good reason – trademarking is a very complex and legal subject – something that I’m simply not qualified to give advice on! People go to expensive law schools to learn this stuff so there’s no way I could give you even a basic overview of the proper steps in registering a trademark. 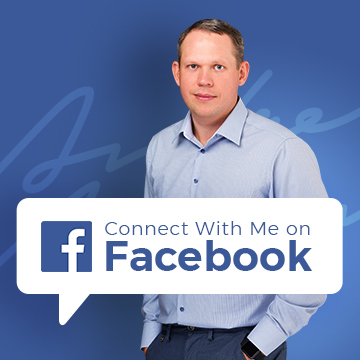 Luckily for us – and I’m super excited to share this with you – I have arranged a professional trademark attorney, Dr Frazer Bye, to share some inside tips & advice on the trademark registration process. So without further ado – let’s get to it! A trademark is any sign that is capable of being graphically represented which can distinguish the goods or services of one undertaking (for example a business) from those of other undertakings (i.e. other businesses). A registered trademark provides a monopoly to exclude a third party from using a similar or identical mark for similar or identical goods or services where it can be shown that there is a likelihood of confusion on the part of the public. Trademarks can be registered for any means of differentiating your business from any other so long as the mark can be represented graphically. Hence, trademarks are not limited to words and names, but can include figures (such as cartoon characters), colours (e.g. the colour orange for mobile telephones), music (e.g. mobile phone ring tones), product shape (e.g. certain Swiss triangular chocolate bars), and packaging. You can in theory register a smell as a trademark, although no one has yet succeeded. A trademark can be exploited like any form of physical property. Trademarks can be bought, sold, mortgaged or licensed. A trademark can distil brand value into a tradeable commodity and trademarks themselves can be valuable assets. UK, European, and International trademark registrations last 10 years. The registration may then be renewed indefinitely on payment of an official fee. The oldest trademark on the UK Intellectual Property Office (UKIPO) register, UK00000000001, BASS PALE ALE, is 140 years old on January 01 2016. Good trademarks are distinctive. The more unusual a mark is, the more likely it will be capable of possessing distinctive character – one of the requirements for registering a mark. Marks which are descriptive or abstract are not likely to be registerable. The reason for this is that the public needs to be able to refer to goods by their common name, so trying to register the trademark “Apple” for fruit will not succeed. You need to consider in what form you intend to register and use your mark. Ideally these would be the same. The worst thing you can do is register your mark in one form and use it in another. This can leave you open to, at best, rendering your registration useless should you try to enforce it, or, at worst, the mark that you actually use may infringe a third party right. In general, if you can apply to register the text of a mark alone (with no colours, figurative elements, or logos) then your registration will protect the use of that text in any form. This means you can update your logo or style of your trademark but still be covered by a single registration. I’ve chosen a mark, is it safe to use? This question is often overlooked in the zeal of bringing a new product to market. The trademark register is crowded, particularly in certain sectors. Attempting to register an Italian word for use on pizzas is very difficult due to the number of other marks on the registers. There are multiple risks if the wrong mark is selected. Your mark may infringe a registered right (UK, European, or International). Your mark may commit “passing off” of an unregistered mark. If the mark is for a 3D shape, or consists of a pattern, then design rights also need to be considered. Finally, a third party may object to the use of your mark or allege that it is infringement of their rights regardless. It is recommended that you have searches conducted to reduce the above risks. These can be conducted by a professional or by yourself. Any amount of searching is preferable to none. The results of punching your proposed mark into an internet search engine can be the fastest way of ruling the mark out, particularly if the mark suffers from an unintended and unsavoury secondary meaning (this is surprisingly common). The UKIPO offers a “Right Start” service where you can pay half the official fee and have the UKIPO perform a search and provide an opinion on your mark. This service is fast, inexpensive (£100 at the time of writing) and will tell you if there are any “knock out” registrations already on the register. This service does not, however, provide common law searches. If the report comes back favourable, you can pay a further £100 and the UKIPO will then proceed to register your chosen mark. A. Are the marks similar? Are the marks conceptually similar? For example, the word APPLE vs a picture of an apple. Both marks conceptually refer to apples, so there is a high likelihood of confusion. Are the marks visually similar? –If the marks are APPLE vs APPE1, the single letter rearrangement and inclusion of a number is a banal difference and insufficient to confer a distinctive character. The likelihood of confusion is high. Are the marks phonetically similar? –If the marks are APPLE vs HAPEL there is a likelihood of confusion as the marks cannot be distinguished if a customer walks into a shop and asks for either product. B. Are the goods similar? The goods are identical. You intend to use the mark on, for example, “clothing, footwear, and headgear”, and there is another mark which is similar to your mark on the register. In this case, there is a very high risk of opposition proceedings if you attempt to register the mark and a high risk of infringement proceedings if you use the mark. The goods are similar. Continuing the above example, you intend to sell “headgear” only, and the similar mark on the register is only for “clothing and footwear”. A good indication as to whether the goods are similar is if they appear in the same NICE classification (see below). If you fall in this category you should seek professional advice from a trademark attorney who will be able to give a risk profile for your particular situation. The goods are completely different. You wish to sell “carpets, rugs, and mats”, and the similar mark on the register is for “clothing, footwear, and headgear”. Unless the mark has a significant reputation (it is a massive global brand for example), then the risk of opposition to registering the mark is low and the risk of infringement is low. The above is by no means a comprehensive method to assess if a trademark is similar, free to use and/or free to register – at best it is a rule of thumb. If you are unsure of any aspect you should seek professional advice as mistakes can be costly. Applying to register your mark. The first question here is where do you seek to protect the mark? Trademark registrations are territorial beasts. Typically, you will require national (i.e. the UK only), European, or Worldwide protection. In general, the broader the geographical coverage sought, the greater the cost. For international trademark applications it is recommended to seek professional guidance otherwise it can turn into a money sink. For UK and European trademark applications it is possible to file and prosecute simple applications yourself. The UKIPO and the snappily named Office for Harmonisation in the Internal Market (OHIM, the body responsible for registration of European trademark applications) have very user friendly websites designed for non-legal professionals. To register your mark you need a graphic representation of the mark and then a “specification”. The specification is a list of the goods and/or services you intend to use the mark on. This ensures a mark is restricted to the goods or services it is intended to be used on. This, for example, means the word “Apple” can be registered for goods and/or services such as “ironmongery” and the “provision of iron smith services”, but not for “fruits” or a “fruit supply service” (greengrocer). When drafting your specification don’t be tempted to use the NICE class headings as this can lead to objections, particularly for services. Be specific in describing your goods and services, but bear in mind that you cannot add goods or services at a later date. There is a fine line to tread when writing your specification to make it broad enough to cover all necessary or future goods and services without being too broad. During the registration process you may need to remove certain goods/services or limit to a specific subset. Application is received by either OHIM or the UKIPO. The receiving office examines the application and then either makes an objection or publishes the application. During the publication period any third party may oppose your application (for example, they have an identical unregistered right). Once the publication period has passed, and assuming no opposition, the mark is registered. Objections include having goods listed in the wrong class, the mark being indistinctive, or that there is an identical mark already on the register. If an objection is made you will be given an opportunity to argue your case or make an amendment. Bear in mind, you cannot add to a specification, only limit it or remove goods/services. You cannot amend the mark. The publication period in the UK is 2 months with an optional extension to 3 months, whereas for a European application the publication period is simply 3 months. Ideally, you will have made searches and minimised the risk of an opposition. If your mark is opposed, and you lose the opposition process, you will be liable for costs of up to £3000 in the UK. This is another good reason to conduct searches. If the UKIPO consider another mark on the International, European or UK registers to be similar to yours they will give you the opportunity to withdraw your application prior to publication. If you chose to proceed regardless, the UKIPO will notify the owners of similar UK or International marks, but not European. This is useful if the only similar mark is a European registration that, on checking the internet, is used in a single state of the EU. As the owners of European marks are not notified you can sometimes sneak a UK-only application through. Be aware that some owners of European marks may have a watching service in place to catch sneaky UK applications. Also, having a UK registration is not a defence to infringement of a pre-existing European registration, so a risk does remain. If the registration is successful you are free to use your mark. Please ensure you use the mark in the form it was registered, and only for the goods/services that appear in the specification, as not doing so can render your trademark registration open to revocation proceedings. A registration can be revoked if the owner cannot prove the mark has been used in the last 5 years. If you have a registered trademark you can use the ® symbol next to your registered mark. If registration was unsuccessful, you may be able to use your mark regardless. This is specifically for situations where the mark is considered to lack distinctive character or be descriptive of those goods. Sometimes, it can be useful to attempt to register such marks in order to receive the refusal notice. This can be good evidence that your mark is sufficiently different to a third party mark or completely devoid of distinctive character. If the UKIPO consider a mark to be descriptive, a third party alleging infringement of their mark will have to work harder to prove otherwise. If your mark is unregistered you can still use the ™ sign. For marks which are not descriptive, but are devoid of distinctive character, the ™ sign can be used to “educate” the public that the mark is a trademark. After a period of time (5 years), with sufficient evidence such marks can then be registered. Once registered, if any person uses a similar or identical mark for similar or identical goods or services where it can be shown there is confusion, then your registered right is infringed and you can seek relief from the courts. However, there are some large pitfalls to be aware of. You should check how long the “infringing” party has been using the mark. If they commenced use of the mark prior to your registration they have a prior use right. That right will be restricted to their geographical location (i.e. if they have only used the mark in Sheffield, they will not be able to use the mark outside that region). Also there are unjustified threats provisions in the UK Trade Marks Act 1994 (Section 21). If you send a letter to the “infringing” party threatening infringement proceedings it may fall within section 21. The third party can then apply to the court and counter-sue for damages or an injunction against such threats. This will not strengthen your position. The reason for including unjustified threats provisions is to prevent rights holders disparaging people who are using a mark legally and provides protection against abuse of the system. Trademarks are broader than just names, a multitude of things can be registered. Do your searches. This is the single most valuable procedure. If you had to choose to use a professional service for a single step, a trademark clearance search would be the time. Trademarks can be registered in the UK, Europe, or Worldwide. The UKIPO and OHIM are very user friendly for non-legal professionals. Try to avoid opposition proceedings as these could land you with a hefty bill and no trademark at the end. Beware making unjustified threats when enforcing your trademark. Finally, the UKIPO themselves are very happy to discuss your application and provide useful help. The UKIPO can be contacted on 0300 300 2000 or enquiries@ipo.gov.uk. 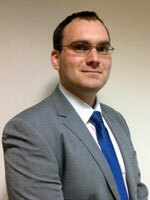 I am a UK Registered Trademark Attorney, a Registered European Trademark and Design Attorney and trainee Patent Attorney. I have been with Franks & Co Limited of Sheffield since 2013, a medium sized practice who handle all aspects of Intellectual Property. Post: Dr Frazer Bye, Franks & Co Limited, 15 Jessops Riverside, Brightside Lane, Sheffield, S9 2RX. Hi, It appears that someone has tried to register the same trademark that I want already, however, their application is stated as automatically withdrawn as they did not make the second payment. Does this mean I can go ahead and register it? The name and address of the person is on the gov website, but if i alert them they may register it then try and sell it to me for more, which i want to avoid! What do i do?! Thanks! Yes, I think you can do that, BUT to stay on the safe side, go with the Right Start service so you get a trademark attorney’s opinion on your chances to get your trademark registered. Thanks Frazer, this is something that I need to look at more seriously. I am in the process of creating a brand. 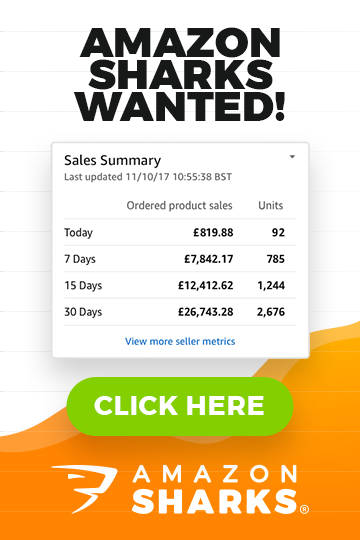 I started selling one product on Amazon and it is doing pretty well and I am in the process of setting up a few more products. I have come up with a name for this brand and created a logo that I used on the product & packaging. I thought about trademarks before I started but wanted to make sure this was a viable venture before I went down the path of paying and officially applying for a trademark. I think this is something I need to do now. Is this a very expensive process and is it really something you can do yourself? I feel that something this important is probably something a professional should look into for me. Thanks for this article, it’s giving me a lot more insight into the whole process. I would recommend you contact Frazer directly so he can help you out with this.